Vintner Chris Phelps was the founding winemaker for Dominus Estate and later left to work with Caymus and then Swanson. After more than 30 years of making wine for others, Chris started Ad Vivum, which debuted with his 2008 debut vintage. 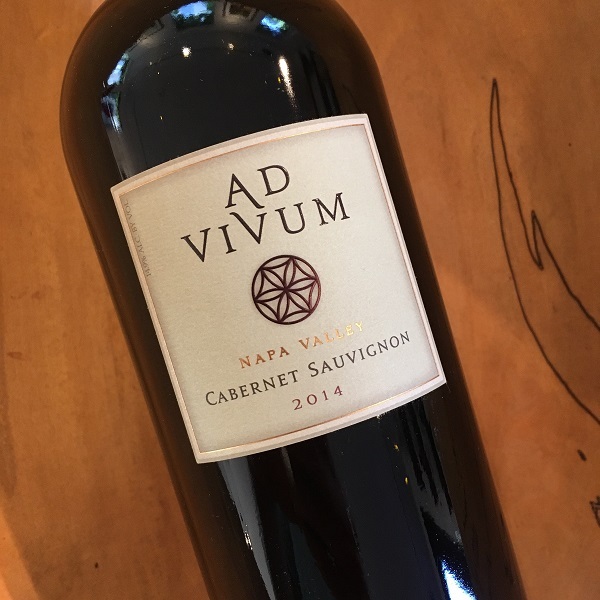 Showing constant improvement, the 2014 Ad Vivum picks up where the 2013 left off. This 100% Cabernet Sauvignon and comes from Sleeping Lady Vineyard, which in the western bench of Yountville. Blackberry, Raspberry and black cherry fill the glass with a little spice and gravely minerality – the tannins are polished and the fruit is focused and concentrated. Sleeping Lady Vineyard is now one of the more sought-after vineyards for sourcing quality Cabernet Sauvignon. Other wineries such as Fait-Main, Orin Swift, Zeitgeist also work with this Yountville AVA vineyard. 253 cases were produced.